Spring is coming with allergies and bunnies. 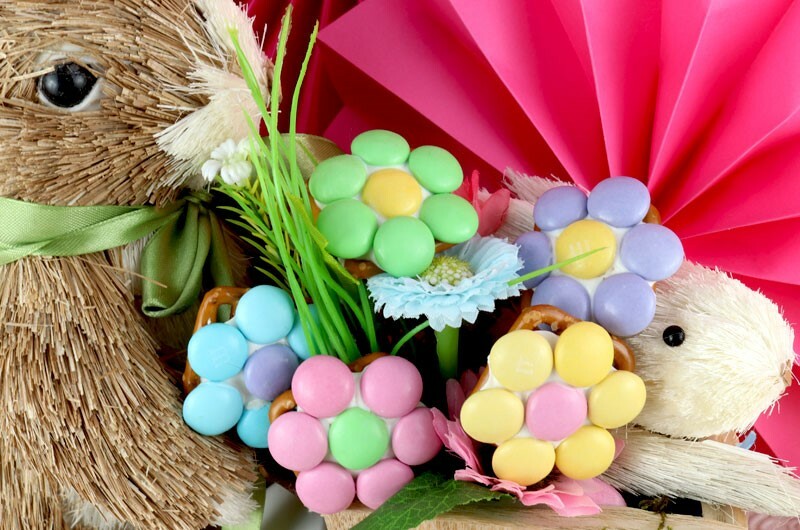 Make sure you’re ready with delicious spring-themed treats. Here’s an allergy free way to enjoy flowers thanks to twosisterscrafting.com. 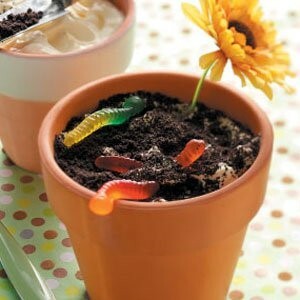 It’s cute and really easy to make. Place the plate of pretzels in the microwave and heat them until the candy melts are at the beginning stage of being melted. They should be soft to the touch and melted enough to press a M&M down into it but not so melty that the candy is running off the pretzel (approximately 50 seconds). Now press in the flower petals with contrasting colored M&M’s – use six M&M’s for the petals. In a mixing bowl, beat sugar and butter together using an electric mixer. Add eggs and beat until combined. Mix in vanilla and salt. Add self-rising flour and half of the milk, and combine. Add all-purpose flour and remaining milk, and mix until lumps are gone. Add oil and mix well. Make sure to scrape sides of the bowl so ingredients are incorporated before pouring into a cake pan coated with cooking spray. Bake at 350 degrees for 20 minutes, rotate the pan and bake for an additional 15 minutes. Let the cake cool, then crumble into a mixing bowl using electric mixer on low until cake is in fine crumbs. Slowly add frosting (recipe above) until consistency is that of Play-Doh. Using a small ice cream scoop, form into balls and chill on parchment paper in freezer while preparing chocolate. In glass bowl, slowly temper chocolate. If you find the consistency of the chocolate is too thick for dipping, add a teaspoon of shortening and whisk. 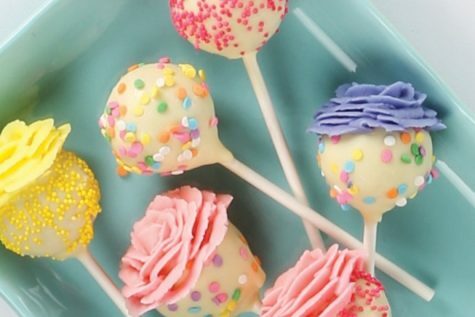 Dip a lollipop stick into the chocolate, then insert into the center of a frozen cake ball. Return to freezer to set. Dip each frozen ball into the chocolate, completely cover the ball and tap excess chocolate on the edge of the bowl. Set cake pop standing up in Styrofoam. Be sure to add any decorations or sprinkles before the chocolate sets.